I've been enjoying shopping online for the longest time. Be it for clothes, gadgets, games, books or even common goods, the online world is my go-to store. It not only saves me time; it saves me money as well. How? COUPONS! Most established online shops these days offer different vouchers or coupon codes consumers can use in order to get discounts or sometimes, freebies. A wise online shopper would usually be seen looking for these magical codes first before checking out the items in their shopping cart. 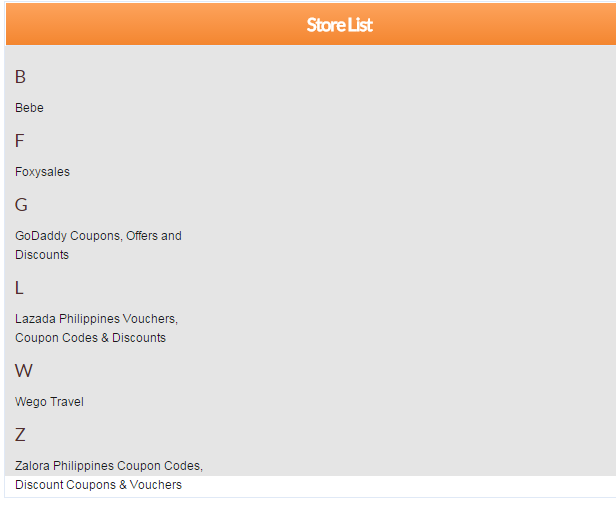 If you're currently reading this, then you're one lucky person because I'll tell you a site that holds a great collection of vouchers and coupons that could be useful in your shopping activities! A start-up company as they may be, this site called iPrice already holds a good number of available deals and discount codes from the largest online shopping sites across the country. Their goal is to help people to save money on their online purchases. As of this writing, iPrice is available in Malaysia, Indonesia, Singapore, Thailand, Hong Kong and of course, the Philippines. Aside from all these useful things, they also have a blog where you might pick-up one or two pieces of advice on things about shopping. What separates them from other coupon sites is this: there are no annoying pop-ups and ads!